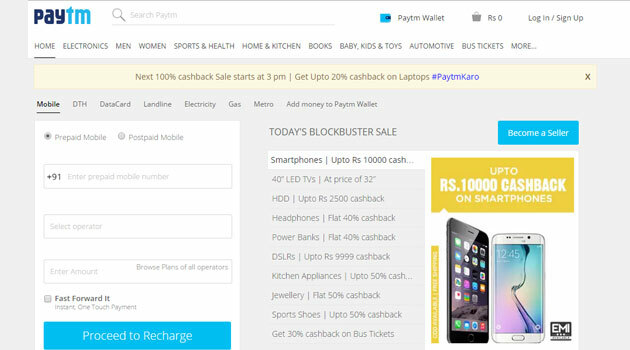 Mobile commerce and virtual wallet property Paytm has launched its P2P (person-to-person) money transfer service, which will enable its users quickly transfer funds to other Paytm users. The company did a soft launch of the service in April this year with select users and is now rolling out the service to its 80 million strong customer base, Paytm CEO Vijay Shekhar Sharma told The Times of India. It is now beefing up the security features for money transfer transactions. The company believes that this service would largely benefit the not-so digitally savvy consumers in tier-II and -III markets. Ensuring security of money transfer, a one-time password (OTP) password will be sent the user's phone. An email enquiry sent to the company on the new service did not elicit an immediate response. The major Indian players in the P2P payment market are Oxigen and iKaaz's MOWA. Online recharge and mobile wallet app MobiKwik also enables P2P money transfer using its wallet. Earlier in March, Facebook had added P2P mobile money transfer feature to its messenger service. Users will be able to see a '$' button in their messenger message composer, next to the options to send a photo or sticker. When they tap it, Facebook will ask them to enter their debit card info. This feature is available only to users in the US as of now. If successful, Facebook may add m-payment functions to WhatsApp as well. The feature is already available on PayPal-owned Venmo, Snapchat, Line, WeChat and KakaoTalk.